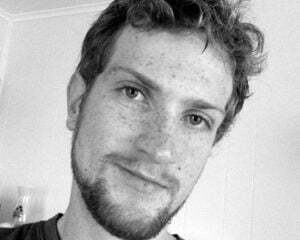 This week, I'm not going to be talking about an older game. 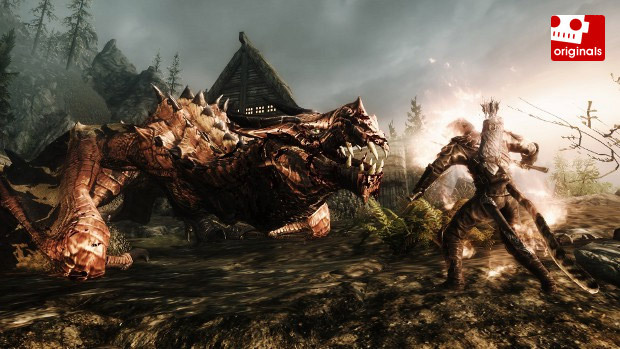 Rather, I'll be talking about something fairly new: The Elder Scrolls V: Skyrim. Now, the game looks great as it is, but we all know the PC can look far better than anything on consoles. 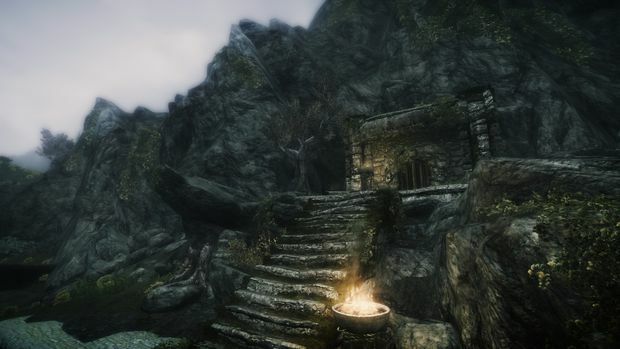 With a little bit of tweaking, we can make Skyrim into an insanely hot-looking game. I'm going to skip over all of the reasons of why you should play the game this week, since you'll find tons of people talking about why you should already own Skyrim. I'm just gonna jump right into teaching you how to turn Skyrim into the beautiful game that it truly is. 1. We're going to start by downloading and installing the Nexus Mod Manager. This mod manager will let you easily install and remove mods. It will create a folder in your Skyrim install directory called "mods." You'll be able to drop mod archives (.zip, .rar, or .7z files) right into this folder and install them from the mod manager. All of the mods that I am going to show you today can be installed this way. 2. 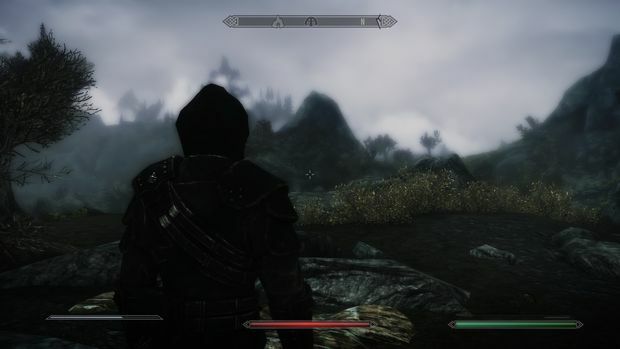 Download and install the Skyrim Script Extender . Copy all of the .exe and .dll files from this download into your Skyrim directory. To make this work properly, you have to launch Skyrim from the "skse_loader.exe" from now on. Make sure you get the newest version, and that your copy of Skyrim is up to date. 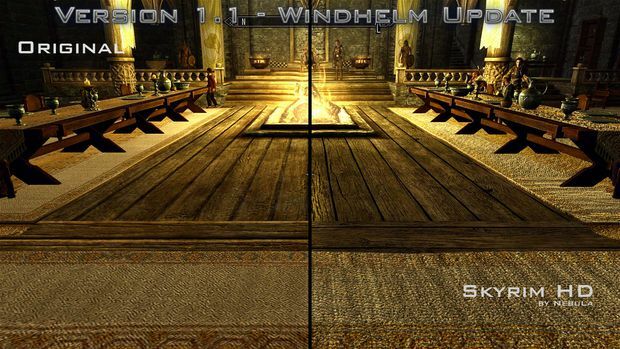 If a new Skyrim patch comes out it might take a few days for this to be updated to match. It can be a little annoying, but it lets you install more powerful mods. 3. Download and install Skyboost. This helps to increase the game's framerate. 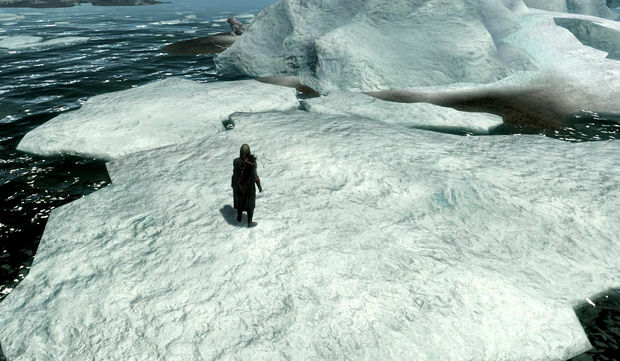 Skyrim is a CPU hog, and these files relieve some of the stress on your CPU. Extract the downloaded zip folder, and copy both files from the "bin" folder to your Skyrim install directory. 4. 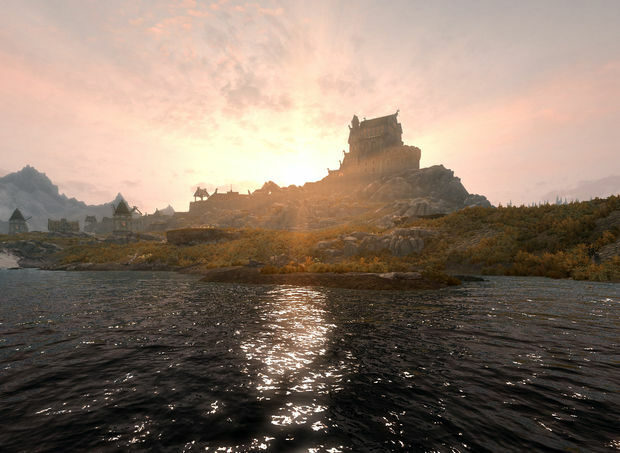 Download the ENB Series Skyrim Injector. This the mod that makes the game really pretty, and they are also the guys behind the insane Grand Theft Auto IV graphics mods. This is still a beta right now, so once you install this you should keep checking back for updates. Make sure you get the latest version of the injector. If you are running Vista or Windows 7 then you'll need to install DirectX 9 in order to make this run correctly. If you are ambitious, you can edit the "enbseries.ini" yourself. You can find it in your Skyrim install folder. If you are like me and you want other people to do all of the hard work, you can find a ton of nice preset "enbseries.ini" files online. I am currently using Cinematic Lighting ENB. Just replace the existing .ini file with the new one that you download. It's worth trying out different ones because each one can drastically change the way the game looks. 5. Get some mods! This is the fun and easy part. 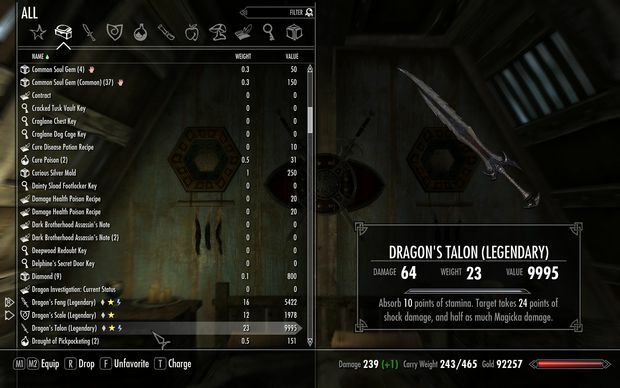 All of the mods I list below can be used together, so you don't have to pick and choose which ones you want. If you want to add more, just be careful that they don't conflict with anything else you have installed. In other words, you can't have two water texture mods running at the same time. I suggest that you stick with this list if this is your first time modding an Elder Scrolls game. Once you have these successfully running, then you can browse around for other mods. 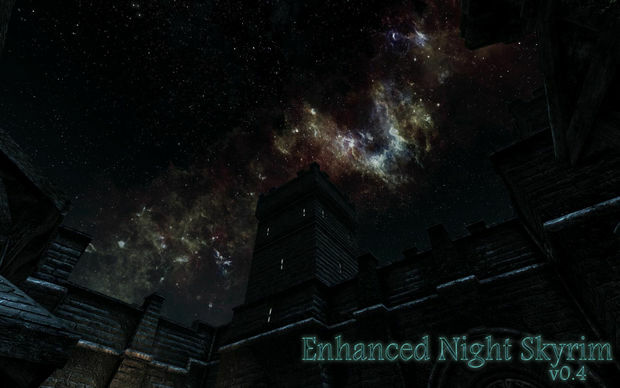 Remember, just copy these to your Skyrim/mods/ folder, and then use the Nexus Mod Manager to install them. 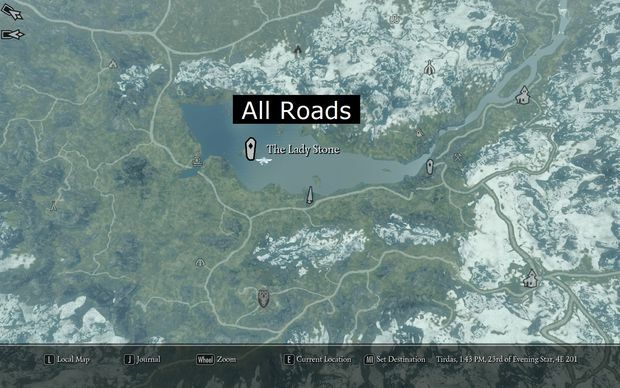 This adds high-quality map textures with roads. It makes navigating way easier and the map screen prettier. This renames items so they sort better in your inventory. Instead of Potion of Extreme Healing and Potion of Minor healing, you'll have Restore Health I and Restore Health V. It makes it so much easier to find things. I hate the way the favorites menu works. It's hard to scroll trough all of the unsorted crap to find the one thing you want. 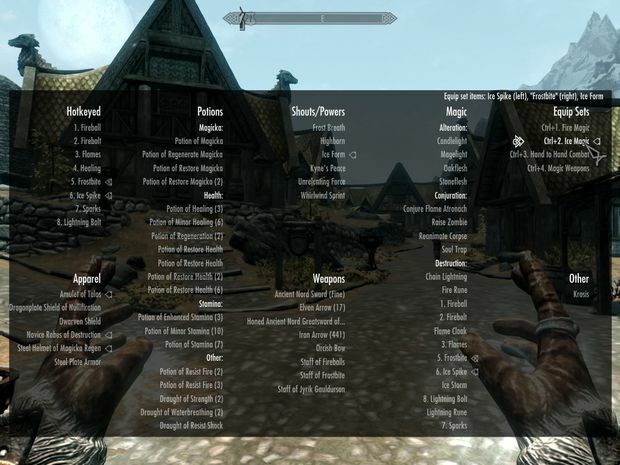 This fancy mod will give you a full-screen favorites menu that is sorted by category. This replaces the default skin textures with higher-resolution ones. No, it doesn't add penises or boobies. 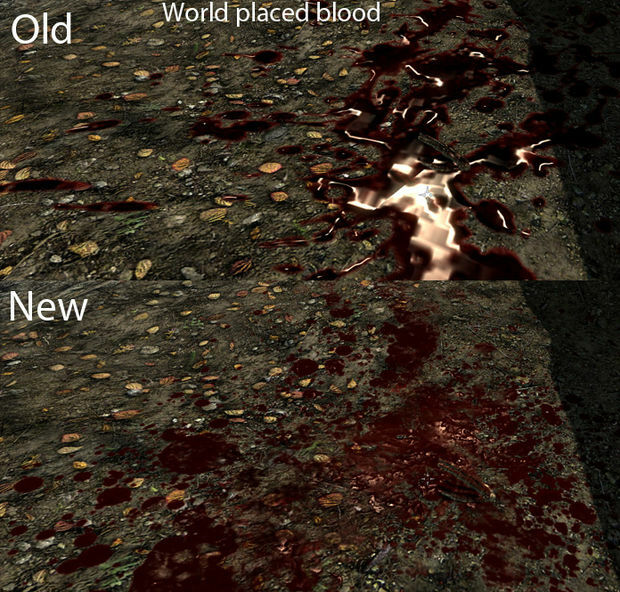 Just some improved blood -- it looks less like strawberry jelly. It makes your horses appear as if they actually have fur instead of low-quality plastic! Adds new HD sky textures, and you can pick from a few different styles. This makes it easier to find ore. I didn't even realize how much ore there was in the game until I installed this mod. NPCs will now have nicer-looking clothing with high-resolution textures. This replaces the default main menu music with something a little more acoustic. This just gives the game better-looking snow flakes. This one replaces all of the ugly water with some much nicer stuff. I recommend that you use the clear and reflective settings, personally. This replaces all of the textures for trees and leaves. It makes forests look awesome. Still a work in progress, but what it does so far is amazing. 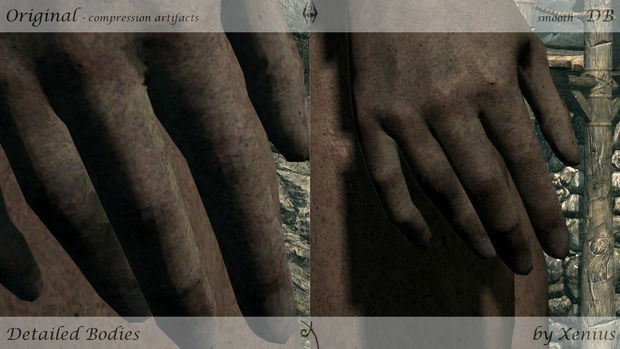 It replaces tons of the normal low-resolution textures with much higher-quality ones. This is my favorite Skyrim mod so far. It changes the game's user interface so it's easier to navigate using a mouse. It also makes the text smaller, so you can see more on the screen at once. This adds a clock to the loading screen. It's nothing fancy, but it is really nice to see what time is when you're playing. I think we all know how easy it is to spend way too many hours playing Skyrim. 5. Open up "My Documents/My Games/Skyrim". There are two files in here that we are going to edit. The first one is "Skyrim.ini". Open it up with Notepad add "uGridstoLoad=7" at the end of the [display] section. Make sure you save all of the changes that you make to these files. Making all of these changes may take a little bit of time, and you'll probably have to do some tweaking to get it all running right for your setup, but the investment is worth it in the end. You'll have a version of Skyrim to show off to all of your friends and the console kiddies will be mad with jealousy.